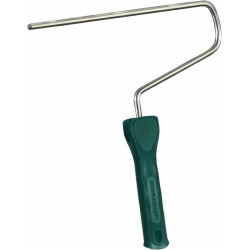 The Highest strength and flexibility available in the market! ARCAFLEX FLEXIBLE JOINT MORTAR adheres excellently to all building materials and masonry materials such as: cement, steel and pvc substrates but also adhere on tile! 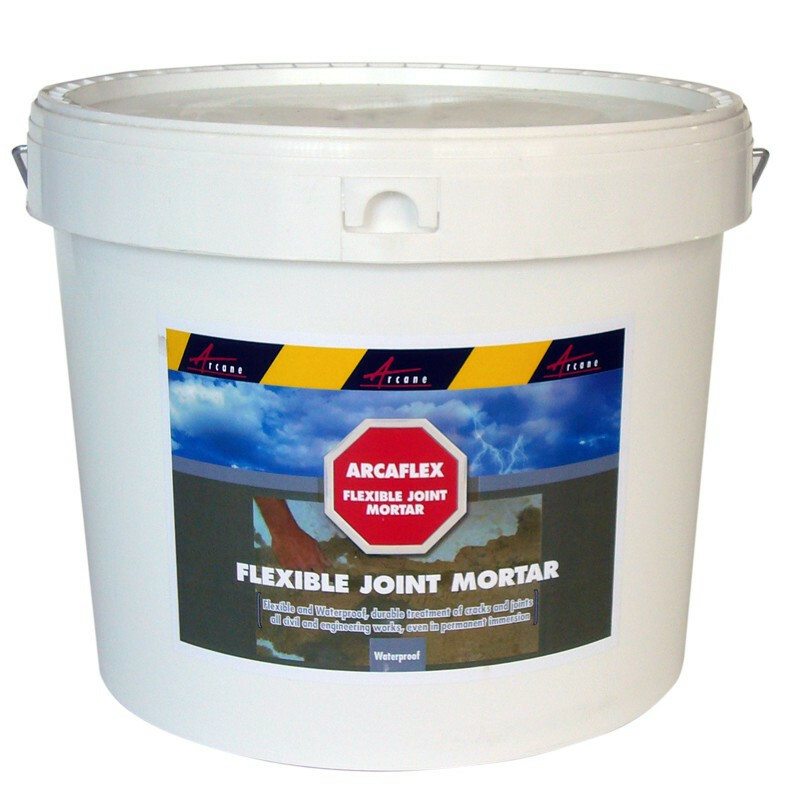 ARCAFLEX FLEXIBLE JOINT MORTAR comes in a pre-batched ready to use kit and hardens to an elastic waterproofing sealant making it ideal for use where increased flexibility and durability are required. 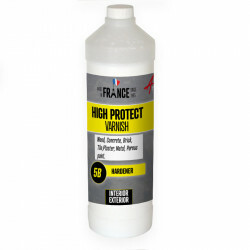 *Note: The product will dry quickly; full curing time will depend on thesize of the area being treated, the porosity of the substrate and relative humidity. 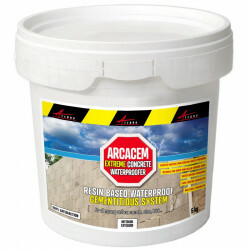 Composition: special cements, selected sands, specific additives and synthetic resin in aqueous dispersion. 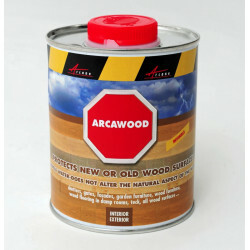 Do not apply on frozen substrates or freezing is forecast within 48 hours of the application. Do not apply under hot dry sun. 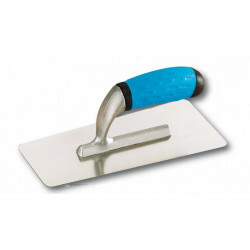 Pour the component B into component A and stir with a trowel or an electric mixer until a homogeous paste is obtained. 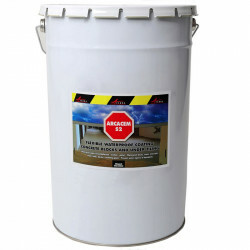 The substrate must be, brushed clean and free of any loose material, dust and any loose particles which will prevent proper adhesion: laitance, separating agents, etc. The surface must be clean and cohesive. Wash and vacuum out cracks and joints. 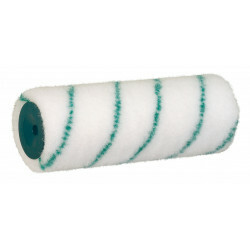 Place a backing foam at the bottom of the joint. 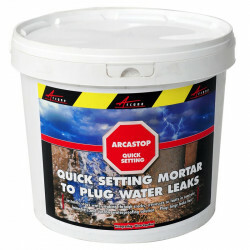 Do not use in the presence of running water (major leaks). 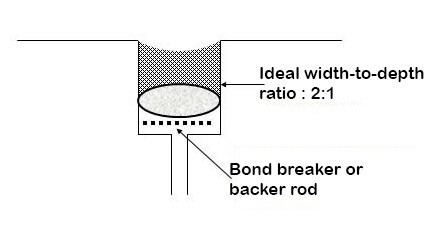 Widen the crack using a chisel and hammer to a minimum of 2x 4cm and break away any deteriorating concrete (the edges of the crack should be vertical or beveled in an inverted “v”). 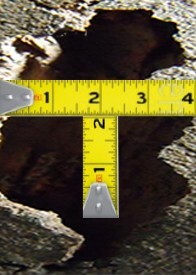 Note: The width of the crack should be twice as large as the depth. 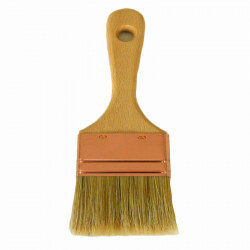 See illustration below. 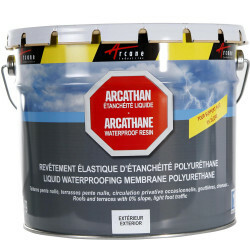 Once the crack has a wider base, clean thoroughly using a wire brush, a damp cloth or a vacuum to remove small particles that will prevent the adhesive from bonding to the concrete surface. Insert and pack down the flexible mortar to fill the entire area. 1 day The curing time will depend on the surface area, the porosity of the substrate and relative humidity and can vary from 1 to 10 days.